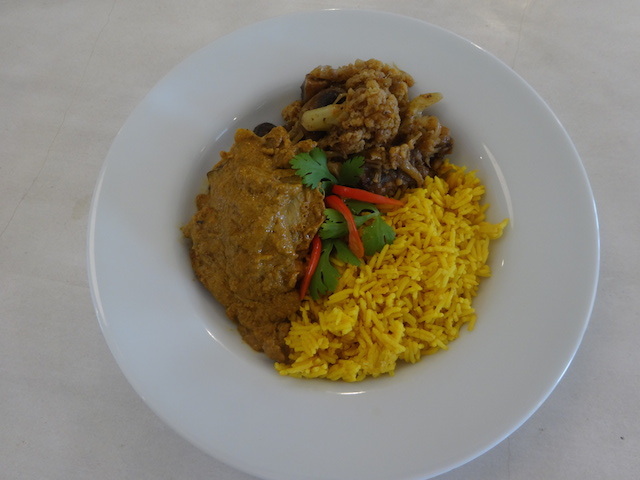 A not so secret passion – Indian Food ! So one of my not so secret passions is Indian Food – not too easy to indulge when you live in Eleuthera ! When I first left home at the age of 19 – nearly a hundred years ago !!! – I went to live in city in the UK called Leicester. Even then it had a large Asian population – Indians, Pakistanis and many people from Bangladesh – an area in India that spawned a huge part of the Indian restaurant trade in the England. And eating Indian food became a staple part of my life. Good Indian food is not necessarily mouth numbingly hot – it can be spicy but also fragrant and delicate. The many different areas of India all have their signature dishes. Personally I lean towards the fragrant and delicate rather than searingly hot. Over the years in England Indian food became extremely popular – and now the nation’s favorite dish is chicken tikka masala – of any type of world cuisine Indian food is the most popular. I even said I would never marry a man who didn’t like Indian food – because if you don’t like it then you also don’t like the smell of it on anyone. Anyway fortunately Bob does like Indian food as well – but maybe not with quite the same degree of passion that I do. When I travel to the UK it is the first restaurant I visit for a fix. Of course in the Bahamas I did not expect to find any Indian food, but I must admit I did think that in the US I would find some. Forget it in Florida ! – I have had a couple of decent Indian meals in New York – recommended by friends – in places with good reputations – but nothing like the abundance of even Michelin starred restaurants that we have in London. So what’s a woman to do ? Buy a good range of cookbooks and get busy ! Also buy a good range of spices and get busy ! A great recipe and inspiration book ! One of my favorite cookbooks is by a young woman called Anjum Anand – it is called Indian Food Made Easy. What’s not to love about a title like that ……. Traditionally Indian food is very labour intensive – but this book gives lots of shortcuts without compromising the taste. Ok so here is what I cooked …. Home made Keralan chicken with basmati rice and my version of gobhi aloo – cauliflower and mushroom….. So darned good if I say so myself ! Best of Eleuthera – chef in my kitchen – Heaven !